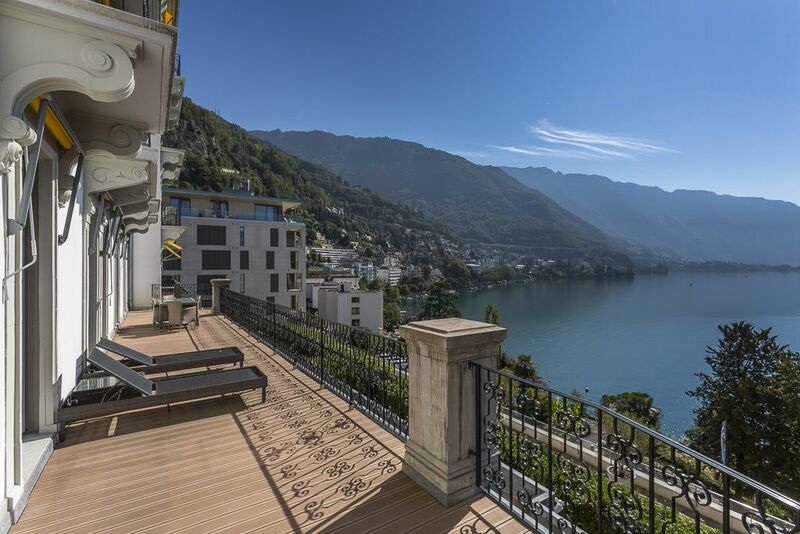 With an enviable location in an exclusive neighbourhood, Le National in Montreux offers luxury apartments to a discerning clientèle. Fully renovated and converted, the building combines the charm and sophistication of a 19th century palace with the perfection that only the best materials and most modern facilities can provide. These exclusive residences will be snapped up by a lucky few. This 3.5 room apartment boasts a bright modern interior. 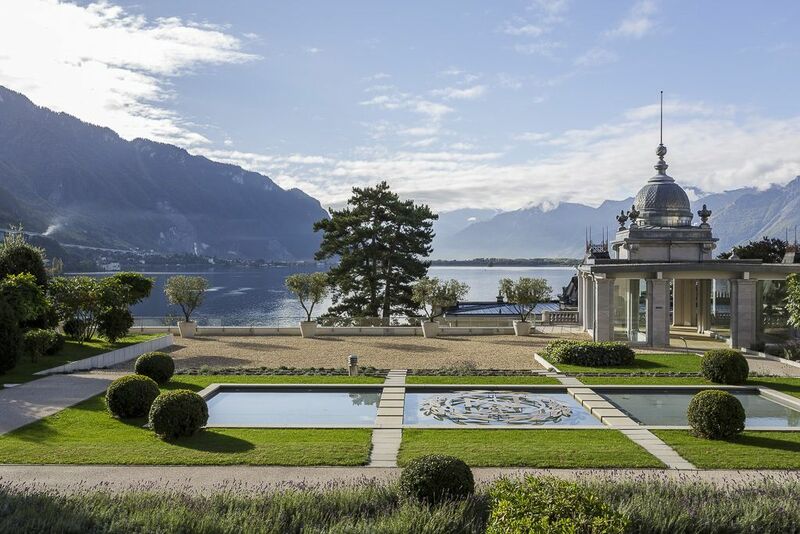 Its south-facing orientation ensures that it receives plenty of light throughout the day, and the spacious 60 m² terrace offers stunning unobstructed views of some of the most beautiful scenery in the world. The magnificent view of the lake and proximity to public transport and shops make this a much sought-after property. It guarantees occupants excellent comfort and a very high standard of living. 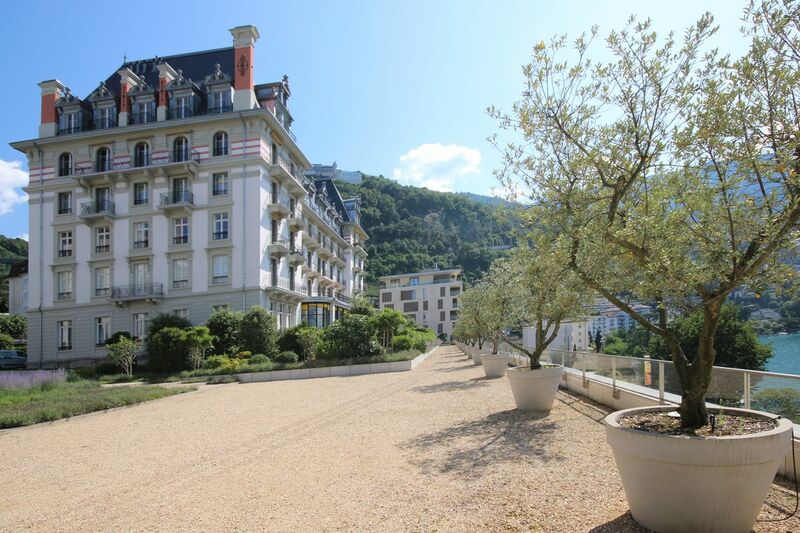 All shared facilities are included with the purchase of an apartment at Le National: magnificent landscaped grounds, a private 350 m² spa with indoor pool, steam room, sauna, jacuzzi and fitness room. Le National’s lounge can accommodate up to 150 people for private events. One indoor parking space and a cellar complete this exceptional property. 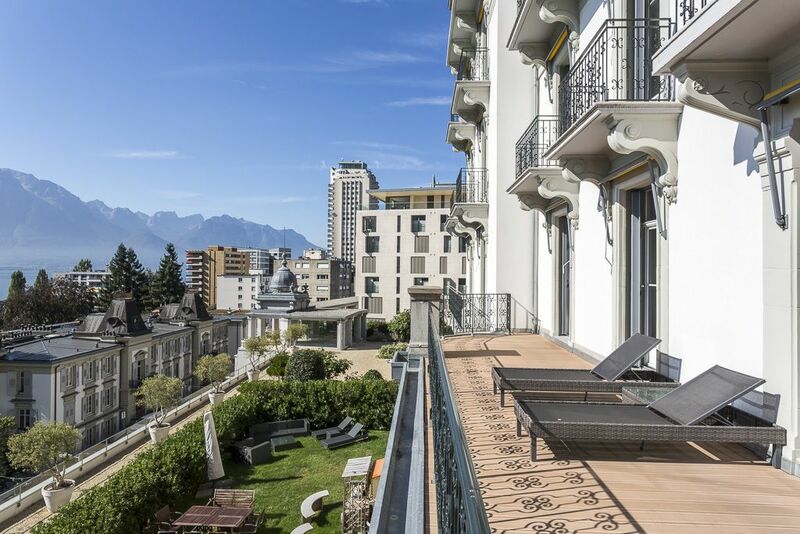 Designed by the Vevey-born architects Ernest Burnat and Charles Nicati, Hôtel National de Montreux was built in 1874 in a style inspired by the French châteaux of the Renaissance, which feature high roofs and brick chimneys. Hôtel National owes its spectacular view over the Dents-du-Midi to the architect Eugène Jost, who added an extra floor to the building in 1898 (he also built the covered arcade of shops two years before this, which gave hotel guests a wonderful shopping environment). Previously abandoned, the Hôtel National has now undergone a renaissance thanks to its conversion into a luxury residential complex. 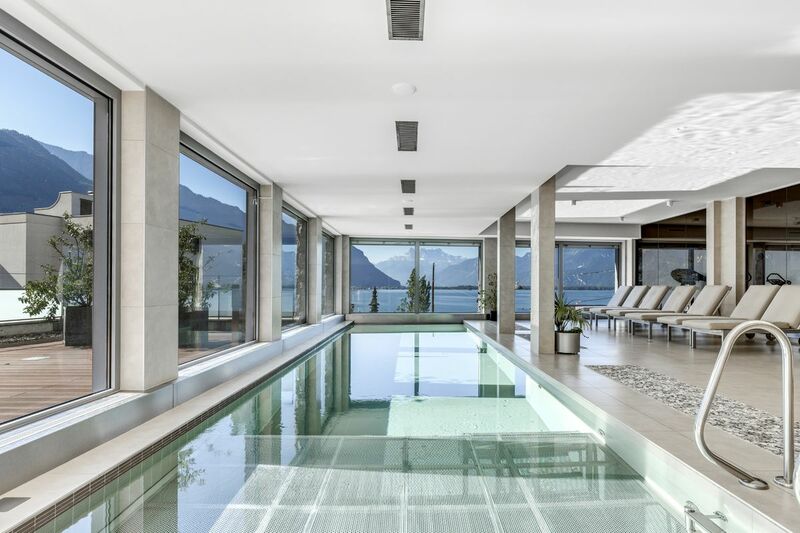 These modern, spacious and comfortable living spaces all enjoy unobstructed views over Lake Geneva and the Dents-du-Midi. 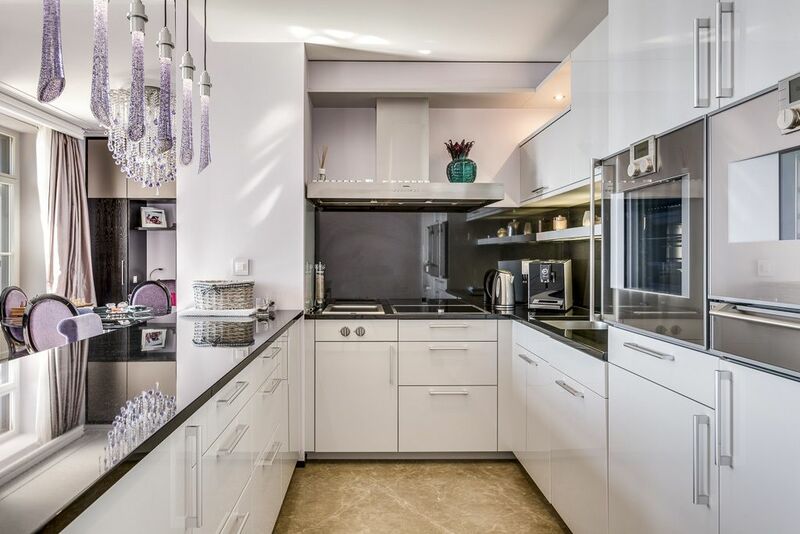 Owners of the properties have access to services worthy of a five-star palace, including apartment cleaning and maintenance, laundry and ironing, catering or a personal chef, a personal trainer, babysitting, vehicle maintenance and upkeep, and much more. The complex includes a spa with steam room, sauna, indoor pool with swim jet, jacuzzi, fitness room and massage room. Originally, this 3.5 room apartment offered two bedrooms, but one has since been converted into a dining room. It would, however, be possible to convert it back to a second bedroom if necessary. The park is attractively landscaped and includes a water feature and a variety of tree species. 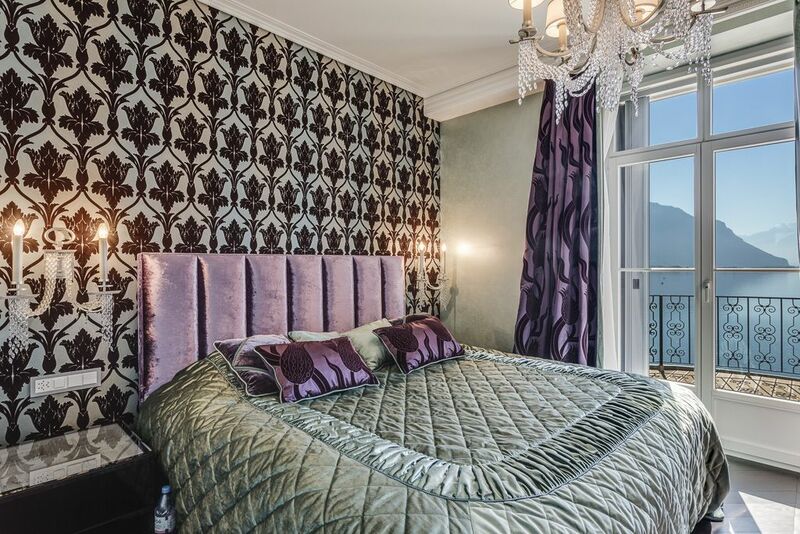 This magnificent apartment offers a spacious living area in a luxurious, refined setting. It features luxury finishes with specially selected and adapted premium materials. Just a short walk from the lake, shops and other amenities, Le National in Montreux is ideal for enjoying all that city life has to offer! 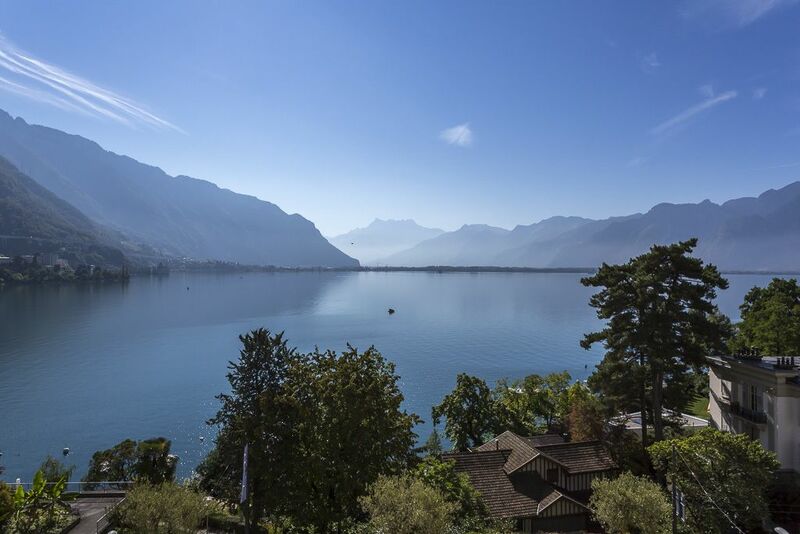 Less than an hour from Geneva international airport and a stone’s throw from Gstaad and Verbier, Montreux is nestled in the foothills of the Alps on the shores of Lake Geneva. 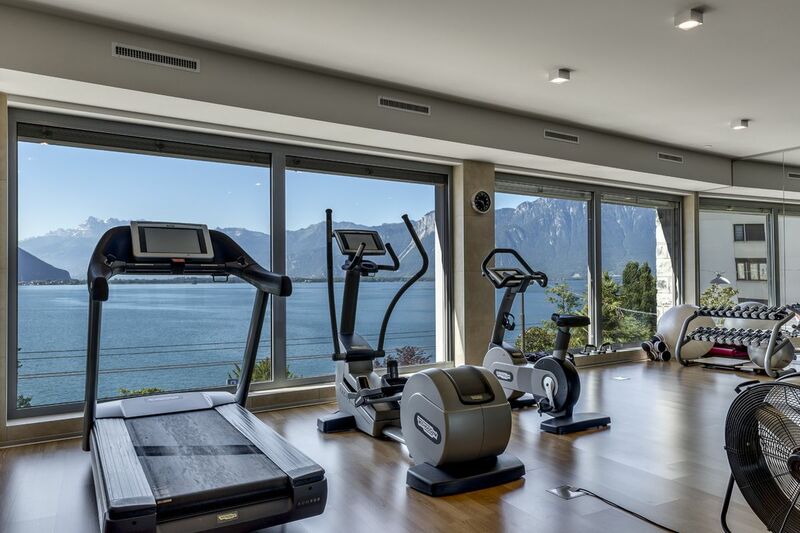 A cosmopolitan cultural and gastronomic centre, Montreux is also known for its excellent private schools and health and fitness centres. Throughout the year, world-famous events such as the Montreux Jazz Festival bring this small 28,000-strong town to life. The town also offers a full range of amenities.